Richard is a criminal defence advocate with an excellent reputation. Richard is a criminal defence advocate with an excellent reputation. His Crown Court practice is complemented by his specialist work with protestor client groups, appearing most recently in a number of high profile anti-fracking cases. Richard is also instructed in appellate and miscarriage of justice cases, and civil actions against the police. These often follow on from criminal cases he has conducted. He has a long-standing interest in mental health issues, has worked in this area in Malawi, and continues to take a particular interest in cases involving vulnerable defendants and witnesses. After being called to the bar in 2007 Richard worked as a paralegal for Bindmans LLP before going to Malawi in 2008 to work at the Centre for Human Rights Education. In addition to undertaking penal reform work whilst in Malawi, Richard also undertook the training of lawyers and senior members of the judiciary and executive on the rule of law, fair trial rights, regional justice, and the recently formed African Court. Richard has a strong interest in disability rights and mental health issues. He has worked with FEDOMA, an umbrella disability rights organisation, and the Malawian Mental Health Department. He also worked for many years as a volunteer at Islington Young Offenders and has a strong interest in youth justice. Richard is an established criminal defence practitioner, who is regularly instructed in the Crown Court, with a broad range of experience in cases involving allegations of serious violence (sections 18 and 20) GBH, ABH, drugs (manufacture and supply) serious fraud, and sexual impropriety. He is often instructed in cases involving young and vulnerable witnesses or those with mental health or mental capacity issues. He is regularly instructed in the magistrates and beyond to defend protesters charged with a range of ‘protest’ offences, particularly those involved with the anti-fracking movement, homeless activists and animal right activist. He has specialist expertise on the potential environmental impact of hydraulic fracturing, particularly where fracturing may infringe environmental regulations and directives. Richard undertakes Public Access work and is frequently instructed to represent individuals charged with driving offences and other criminal matters. Richard is based between Stoke and Stafford and regularly appears in courts throughout this region but also throughout the country. Richard advises on cases of false imprisonment, assault, malicious prosecution, negligence. He is currently advising on a number of cases following successfully defending fracking protestors. 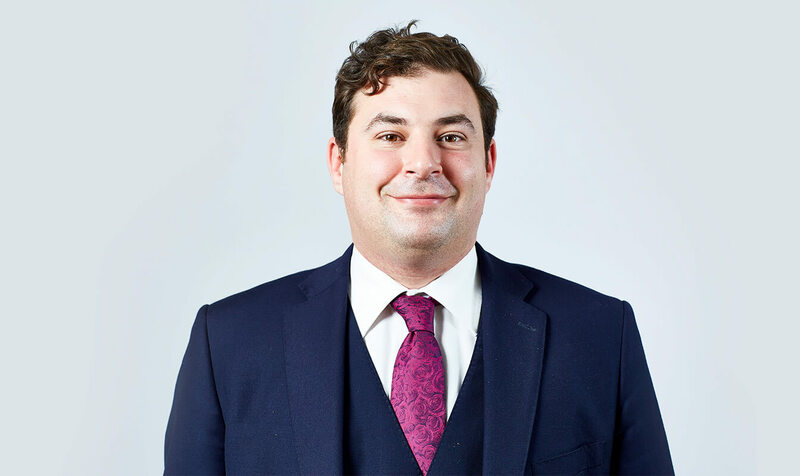 Richard has experience of adjudications and parole board hearings, along with experience of drafting advices and grounds in prison law judicial reviews (including claims arising out of unlawful re-categorisation and allocation decisions). Richard’s background in international penal reform assists him in this area. Richard is currently instructed on a Malawi Supreme Court case concerning the right to a trial within a reasonable period of time. He is also interested in international environmental laws and regulations. Prior to joining Garden Court North Chambers Richard gained extensive international human rights experience in southern Africa. Richard is regularly involved in the training of justice officials within southern Africa. Richard is, following a long standing interest in mental health, experienced in mental health review tribunal cases. Whilst working in Malawi, Richard advised and wrote legal opinions for the Malawian Mental Health Department. He is currently instructed by the Malawian Ministry of Health to review the draft Mental Health Bill in preparation for its presentation before the Malawian Parliament. During his employment with Bindmans, Richard gained considerable experience working with clients, young and old, who had mental capacity issues. Richard has experience drafting advices and grounds in prison law judicial reviews (including claims arising out of unlawful re-categorisation and allocation decisions). Richard’s Privacy Notice may be viewed by clicking here.